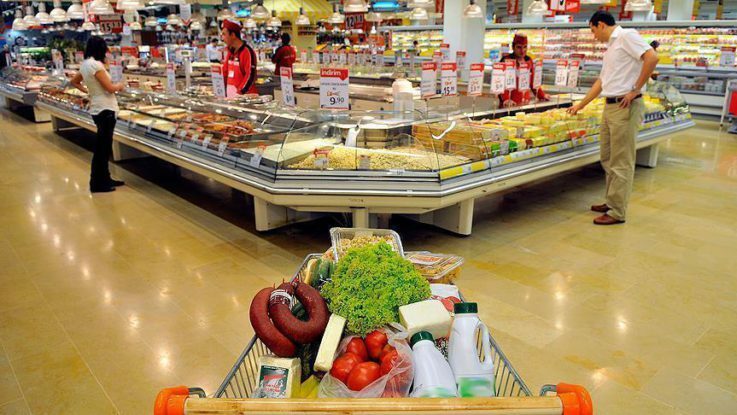 Turkey’s annual rate of inflation rose slightly last month, the Turkish statistical institute, TurkStat, said Friday. Official TurkStat figures showed inflation increased to 6.58 percent in May from 6.57 percent in April. Monthly inflation increased by 0.58 percent in May. Meanwhile, Turkish Finance Minister Naci Agbal said inflation in the country had in fact decreased in the first five months of this year. He said recent data showed promise for growth in Turkish economy. “There are favorable conditions for a 4.5 percent growth in 2016. Positive figures are coming in succession,” he added. Prices of food and non-alcoholic beverages fell by 1.64 percent, the greatest decline, while clothing and footwear sector saw the highest monthly increase with 8.04 percent rise. The greatest annual increase was in the price of alcohol and tobacco products, which rose 12.79 percent. However Agbal warned that there were still challenges in reducing the core inflation, a measure which excludes energy and food prices, despite improvement in headline numbers. “Base effects also contribute to the inflation developments achieved in the first five months. We need to create conditions that will help core inflation to come down,” Agbal said.